This level have normal difficulty and you need to use good technique to complete this level. 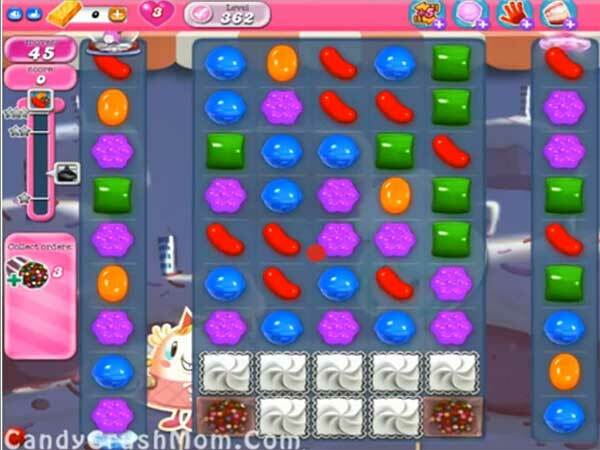 For this level you should try to break the blockers and make striped candy as you get chance. After try to combine colorbomb with striped candy and try not to waste the moves. Play more from bottom as it will give more chance to make the colorbomb or striped candy. We completed this level with 240060 score using the above strategy and got three star score at the end of the level. I just don’t see how you have enough moves. I hate the fact that the bombs explode as soon as you start playing. This is not a fun game. I really hate it. Think I will quit playing Candy Crush. Washing my time. No chance to use strategy in this game. I hate this level, have been playing same game for 2 weeks , not enough moves, bomb goes off and I feel the only way to win is to purchase and I refuse to do so!